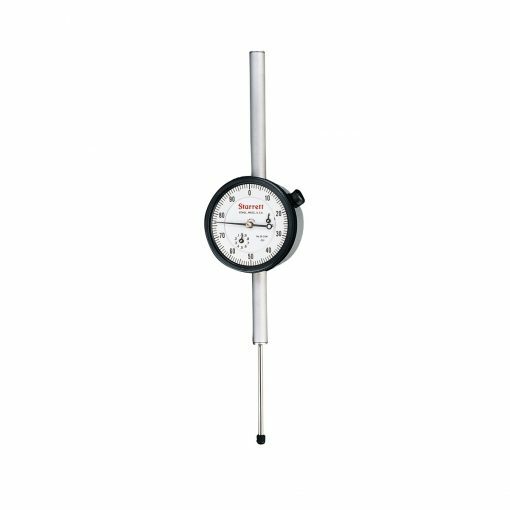 The Starrett 25, 655, 656 Series Dial Indicator with Long Range features a shockless, hardened steel gear train and is furnished with jewel bearings and lug-on-center backs. Conforms to AGD specifications except for range. Stem cap supplied as standard. Furnished with continuous reading double dial with direct reading count hands. 2.000” Range, Dial Reading 0-100, .001” Grad, with Flat Back.